All small businesses face a common password challenge – how do we make our online accounts easy for us to access and impossible for anyone else to hack. And it’s not just about finding *the* most excellent password because experts encourage us to use a different one for each account. The idea is that if someone gets your password from one account, it doesn’t give that person access to all your other accounts. I don’t know about you, but I have enough trouble remembering ONE password, let alone a different one for each account! Like it or not, we live in a time where we need to be ever vigilant about keeping our accounts and data protected. 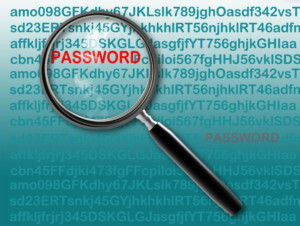 Take a moment now and make sure your passwords are strong and memorable!